The Mequon News announced today the termination of longtime photographer Jody Dunmeier. Editor Doc Benson announced the action in a brief news conference on Saturday, which featured a lengthy tirade about “the sharp, steady decline of quality in his photos, diligence in his work habits, and judgment in his personal life.” Benson portrayed him as a perennially disgruntled employee who continuously “pushed his buttons” until Benson could no longer tolerate it. The last straw, claimed Benson, was when Dunmeier showed up late at the premiere of Everything Must Go at the Toronto International Film Festival. 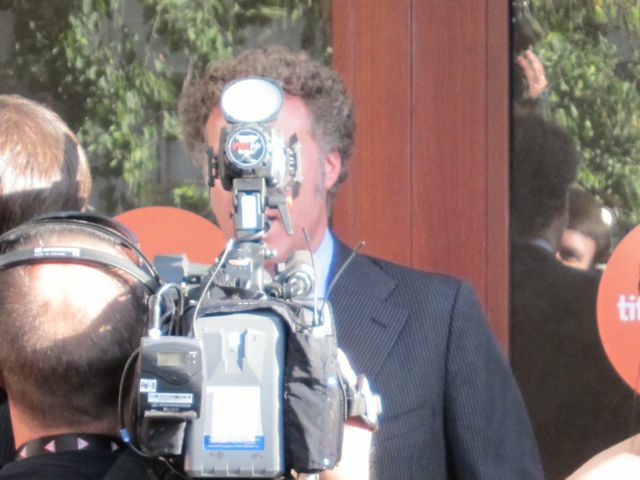 Charged with capturing exciting images of stars arriving and chatting on the red carpet, especially Ferrell, Dunmeier arrived late and was only able to produce one seriously obstructed shot. He then snapped off a dozen or so nature photos, according to Benson, including a grey squirrel on a power wire and a wasp sitting on the lip of a Diet Pepsi can. Dunmeier is now unemployed and, due to a recent divorce and a problem with alcohol, living homeless on the streets of Thiensville.